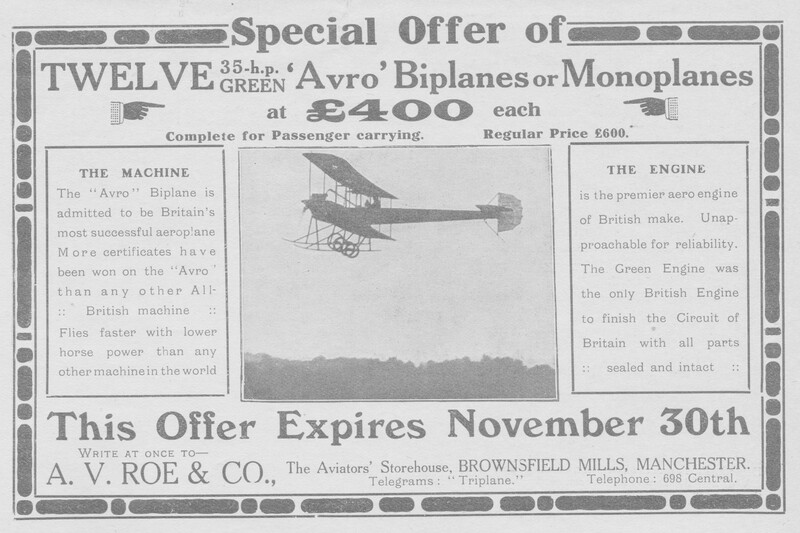 The type 'D' was designed by A. V. Roe, the aircraft was erected at Brooklands in March of 1911, it appears to have been powered by a 35HP Green engine and first flown on April 1st 1911 by C. Howard Pixton. 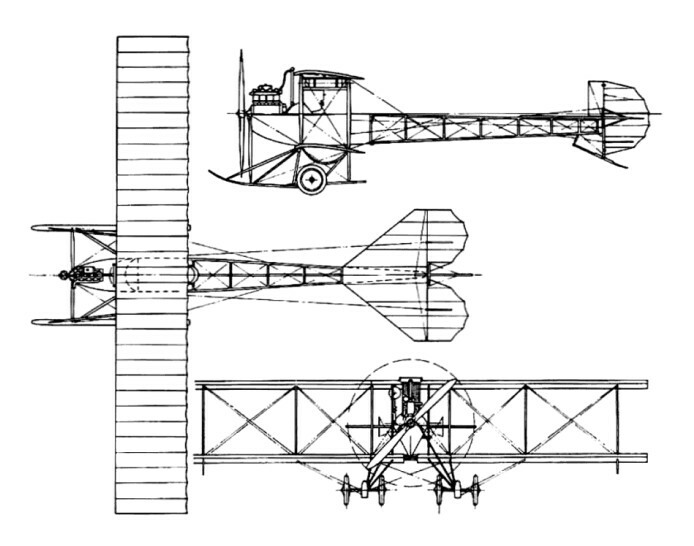 It is believed that six examples of the Type D of 1911, with its triangular shape fuselage, were manufactured. They were all different, including one example with a 60hp engine that was intended to compete in the Daily Mail Air Race, but suffered a prior accident. The Avro Type D was the company's first successful and (semi) production standard design. In England A.V.Roe & Co had put the first Type D on floats and it left the water on 18 November 1911 at Barrow-in-Furness using stepped floats, but dropped back into the water and was damaged. It flew successfully in April 1912, though always underpowered. The fourth Type D was powered by a 45hp Green engine. A float plane version at Cavendish Dock, Barrow-in-Furness, circa 1911, was flown by Commander Schwann, of HMS Hermione, carrying out early morning trials on the Roe biplane, which had been fitted with float attachments of his own invention. Built by A.V.Roe for Cdr. Oliver Schwann of the Royal Navy. He crashed it. 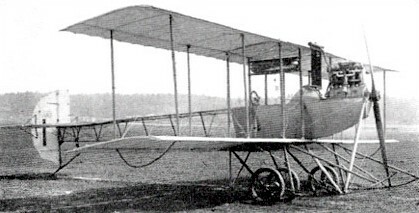 It was rebuilt and flown successfully by Major S.V.Sippe. One of the reasons that the Avro Flying School and airfield were moved from Brooklands to Shoreham in the autumn of 1912 was because tests could be carried out on both landplanes and float planes. The latter had come about after Commander Schwann’s experiments with the Avro Type D that he converted to a seaplane. A.V.Roe had been watching Schwann’s experiments with interest, and could see the possibilities in developing a seaplane. The result was the Avro 501.